London – the city of the red buses and phone booths, Piccadilly Circus and the good old English breakfast. But London is not only about that! There is also a really big startup scene and many international companies have their headquarters located in the city. We recently had a talk with Ines Sánchez-Castillo, the Head of International Expansion at Kymono, and Julia Bensadoun, the UK Country Manager, to find out more about the company and their expansion to London last year. 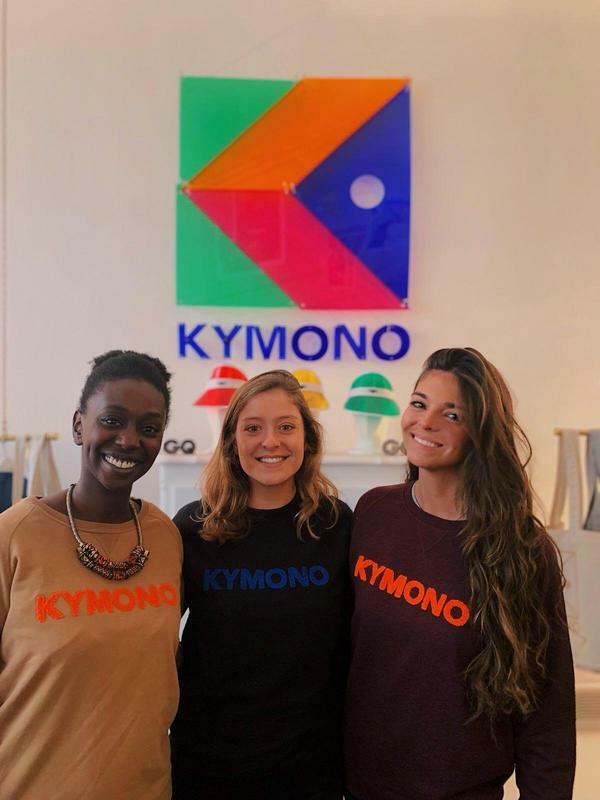 Kymono is a French company founded in March 2017 through a collaboration between a serial entrepreneur from Paris, Olivier Ramel, a long-time textile corporation and an organization called ‘The Family’ (which is a hybrid between a private investor fund and an incubator). The company offers high-quality, on-demand customized outfits and objects for companies. Beyond that, they help startups to create a corporate culture in their company through outfits and more. The company is currently located in Paris and has 2 international offices in Berlin and London. They plan on further expanding to the Iberian Peninsula (Madrid, Lisbon) Benelux and the Nordics (Stockholm and Copenhagen). Internationalizing your business usually requires a set of organizational skills inside the company. 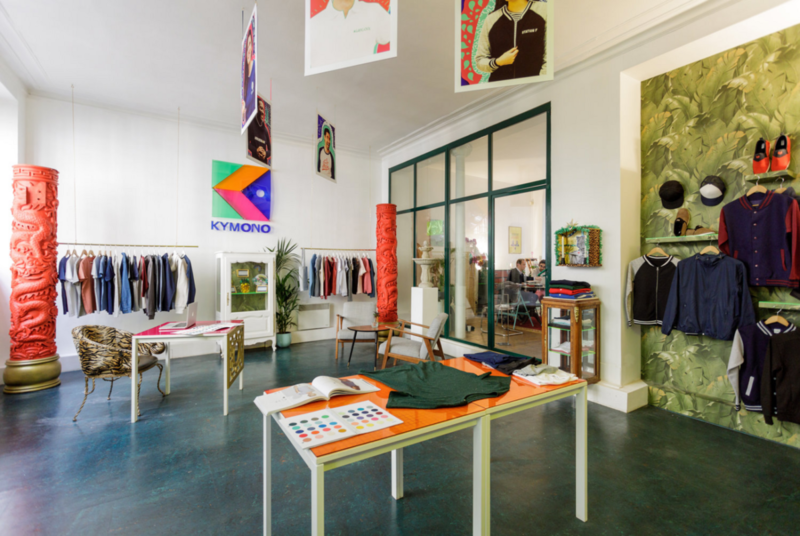 When Kymono delivers a product abroad, they set up processes in order to ensure that the quality of the products remains as good as in France. Out of the three KPIs, Ines finds hiring a country manager is the biggest challenge. As the main requirement, the country manager needs to work for one month at the main office in France. This way, they get a real feel of the culture, products, they understand the mission better and are able to implement the company culture in the new city. On the advantages of working internationally, Ines and Julia both found out that you have the opportunity to grow your professional network and increase your cultural awareness by meeting many fascinating people with different ways of thinking, background, and culture. However, you will sometimes face challenges which might be harder to resolve because of the cultural differences. The office in London was opened in March 2018. The first thing they did was to find an office and get properly registered. Internally, they had to order samples and expose them in the showroom. They initially started working with a communication agency to find partners in London but soon realized that it is easier to contact VCs and incubators directly to work and promote together the brand to other startups. On the bright side, their business model helped them to bootstrap from the very beginning. The revenue in the first year was really impressive, so they never had to look for investors to keep the business going. They also set up a lot of partnerships with other VCs and companies in order to sell their product. Main international networks that helped in the expansion process were The Family, Startup Guide and WeWork. The city of London is full of opportunities and the people are welcoming, helping you in every way possible. The most important thing when opening an office in London is to get ready before you begin – start a market study, know your opportunities as well as which are the best options for you and your company. With the opening of the London and Berlin offices, Ines realized that there must be a connection between the employees from the 3 cities so that the business can go smoothly globally. When in London, be sure to check Shoreditch. In terms of work and experience, Julia thinks it is the place to be.